Sounds pretty cool huh? Today I'd love to introduce you to what I call camouflage ingredients. They sound high-tech right? Then, I'll tell you about landmark ingredients as well. 2. hide the actual active ingredients used in the product. Why would companies do this? One reason is to keep others from knowing their "trade secret" ingredients in the product. These are the ingredients that are actually present in significant/effective amounts. Or to make the ingredients more impressive by listing a HUGE amount of yummy ingredients for your skin, but, in actuality, are barely even present in the formula. Yes, often many times when a product "screams" about their ingredients (the one's found advertised & often on the front label) in their list, they might barely be present in measurable or, more importantly, in effective quantities. It's not such a bad thing necessarily. It's a good thing that companies protect their formulas, after all, if they created it, they should have a right to profit from it and keep other's from immediately copying them. However, it's not the most truthful representation of the product's contents. 1. When companies misrepresent their product as containing a wealth of "valuable" ingredients, but, in reality, they might hardly be found in the product. All you need is a microscopic sprinkling, shall we say, and then you can list it. 2. When a consumer reacts to a product, but, unfortunately, won't know to exactly what ingredient they were allergic to. there's no way to always (or most of the times) know what proportion of ingredients are in a product, but you can get clues from what I call LANDMARK INGREDIENTS! What are LANDMARK INGREDIENTS?These are ingredients that are almost always used in certain amounts. By seeing where they are listed on a label, you can get a feel for the amount present of the other ingredients in the list. Please note, this is also assuming that the labels are honest and follow FDA guidelines! Unfortunately there are plenty of mis-marked labels out there. If you see any labels that are a little odd, feel free to email me an example! 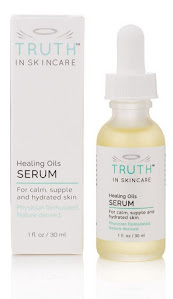 We may go over the product here on TRUTH in SKINCARE. These are just some of the most common (but certainly not complete!) list of easy to find landmarks. *I will start creating a dynamic list of "landmark ingredients" and the percentage they are found in most products, stay tuned for that link and post. Here is what this means:Find any of these ingredients and you know you are in the ~1% area. (Usually much less for BHT, EDTA, Vit A). In fact, many of these ingredients will be present in less than 1% in the product. And if there are more than one or two of these in the list, you are almost guaranteed to be in the less than 1% territory. Vitamin E and C can often be found in higher concentrations than 1%. Please note that if these vitamins (or any other usually small % ingredient) are found in higher concentrations, it is often being used as an "active ingredient" in products. (Basically this means that the ingredient is the main character in the show). This also means that the % of that ingredient must be listed, as per labeling regulations. So by knowing the percentage of these ingredients this can be an extra tool to help you figure out the ingredient listings! Unfortunately, sometimes these rules aren't always followed (as you will soon find out, the next time you go label hunting!). What's the 1% area mean? Well, it means at this point, when an ingredient makes up less than 1% of the product, they can be listed in any order! (click here for Tuesday's blog to go over ingredient listings). So when you ID any of these ingredients, you know that your in some foggy territory. From here on out, if it lists something like "emu oil" as the products ingredients, you'll know that it's in a VERY SMALL quantity! So when you're out and about, pick up some skincare products and start looking at labels. Find ingredients like vitamins and preservatives. Once you have found these, you'll know you're in minority territory. If you see a LONG list of natural or organic ingredients listed in this section, be careful! They may only be listed just to brag, or to claim that the product is "X% Natural" or "Organic". So, in the example above, the yummy mango butter, and cocoa butter, are present in less than 1%! Which, depending on the ingredient, could be ineffective (or at least not noteworthy of bragging about the ingredient!). Remember though, some ingredients like vitamins and preservatives should only be in small amounts anyway! this isn't meant to cast doubt on all product labels, but for you, as a consumer, to be aware of certain practices within the industry. Every company wants their product to sell, and consumers are more aware than ever. They tend to focus on the product's ingredient list to market their product as well (hey, most consumers look at the ingredients in their product before they buy!). So a snazzy list of 25 organic extracts seems wonderful to most consumers looking for natural or organic ingredients. And remember my rule from before? My rule that states, that it "Once an ingredient proves, not to be effective, but to be a hot seller, then the vast majority of the market will follow." Well, you can expand this to a list of ingridients or types of ingredients (like organic). We will certainly talk about camouflaging and landmark ingredients in the future. And I will point out examples of real products and their ingredient lists to help illustrate. For now, It'd be great if you all just started picking up products and just looking at the ingredient lists! Look to spot out "Landmark Ingredients" of which there are plenty, and just start to get familiar with how much of what ingredient is really present in the product! By starting to get used to typical and normal formulations, you'll be able to watch out for "quack" listings, that are either false, misleading, or just plain BADLY formulated. This will help you to navigate honestly and more safely through the world of skincare! That's it for now! Don't stress if you had a hard time getting through this post, it's a tough one. Just make sure to pay more attention to labels next time and start to get a feeling for how much of an ingredient is really in the product. Enjoy your weekend! Be safe. I agree with you on landmark ingredients, although not the vitamin C. Products like Skinceuticals CE Ferulic and Cellbone Technology C15ie contain 15% L-ascorbic acid, and companies regularly incorporate well above 1% vitamin C in their most concentrated products. Thanks futurederm! Certainly companies do in fact use more than 1% vitamin C quite often. I've clarified the wording in the post so hopefully it won't confuse others!